Robert M. Guion made significant contributions to the theory and practice of industrial and organizational psychology for nearly 60 years. His contributions have covered attitudes, morale, motivation, recruiting, placement, selection, discrimination, organizational climate, utility and general issues concerning measurement. With a B.A. in 1948 from Iowa and his M.S. in 1950 and Ph.D. in 1952 from Purdue, Bob joined the faculty at Bowling Green State University where he rose through the ranks and was ultimately honored by being named a Distinguished University Professor. He served as chair of the department from 1966 to 1971, and edited the Journal of Applied Psychology from 1983 to 1988. During his career he held visiting appointments at Berkeley, New Mexico, the State of Hawaii Department of Personnel Services, and the Educational Testing Service. He won the James McKeen Cattell Award for research design from the Division of Industrial Psychology of APA in 1965, and won it again in 1981. 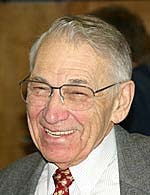 He was named a James McKeen Cattell Fellow in 2000 by the American Psychological Society (now the Association for Psychological Science) for his contributions as an applied scientist, and just two days earlier he received the Stephen E. Bemis Award from the International Personnel Assessment Council for his contributions to professional practice. His landmark text published in 1965, Personnel Testing, was required reading for almost every I-O graduate student. Indeed, the watchword at one competing university was “Memorize Guion.” In 1998 he added another classic, Assessment, Measurement, and Prediction for Personnel Decisions – it is having the same strong impact. An abridged version was published with Scott Highhouse as co-author in 2006, and the second edition of the magnum opus is in press. Bob was a standard setter for practice in employee selection. He was principal author of the 1974 Standards for Educational and Psychological Tests, and co-chair for two editions of the Principles for the Validation and Use of Personnel Selection Procedures, published by the Society for Industrial and Organizational Psychology. Based on sound theory and research, these documents had a major impact on practice and were given due deference by the courts in employment litigation. They epitomize the best in using scientific research to inform public policy. As an educator, Bob led the development of the masters and then the doctoral program at Bowling Green State University, and served as mentor for many of today’s leaders in the field. As a contributor to professional psychology, he served as the president of two APA divisions, 14 and 5, and also chaired its Board of Scientific Affairs. His career is a model of the blend of theory, research, and application. * The FABBS Foundation would like to thank Dr. Milton D. Hakel and Dr. Leaetta M. Hough for nominating Dr. Guion for this honor and for leading the effort to spread the word about his nomination. Would you like to honor Dr. Guion? It’s not too late to have your name added to the list of donors! You can make your donation to Dr. Guion’s In Honor Of… campaign at anytime.